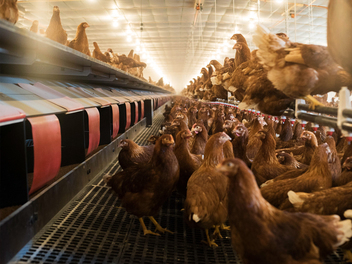 Patented rack-drive expulsion system offers superior egg protection and moves out ALL the birds. 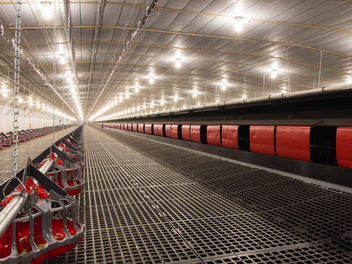 Requires less labor than competitive systems, helping to lower production costs. 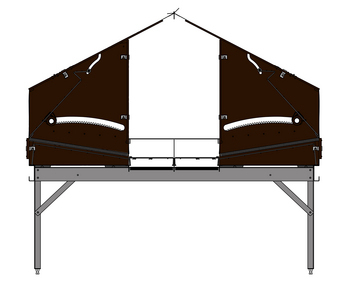 Walls and roofs are made with durable, A-grade, film-faced plywood. 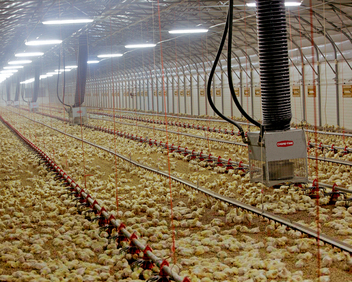 Provides a sturdy, QUIET environment for birds. Easier to clean and more durable than plastic or steel construction. Dissipates moisture quickly to resist mold. 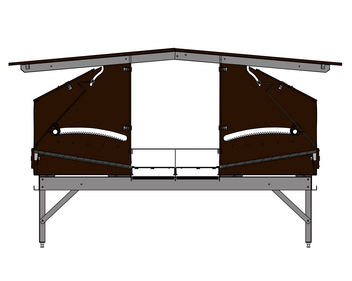 Strong support structure with stainless steel legs. VALEGO Nests feature Smart “Click & Fix” walls and roofs. Easy to install and repair — little experience needed. Requires only common tools to construct. Plastic slats are nailed to a wooden frame. 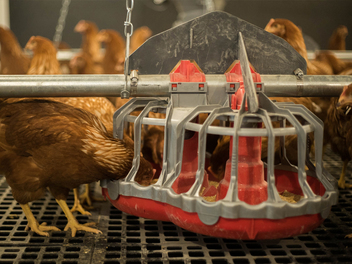 Chore-Time’s egg belts, expeller and controls comprise a total egg collection system that ensures a safe trip for the egg from the hen to the collection table. 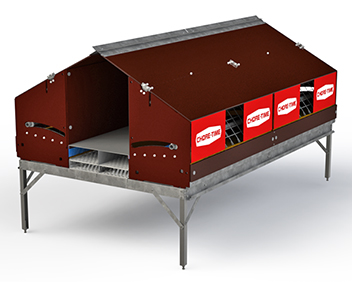 The Control Unit programs the daily opening and closing of the expeller to optimize the period when hens have access to the nests. 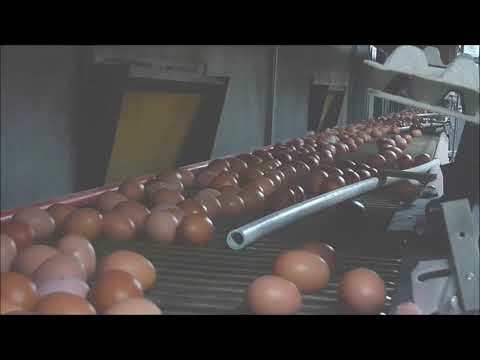 The Control also initiates slight movement of the expeller during egg collection, which permits birds to stay in the nests yet helps to prevent accidental bird damage to the eggs. * AstroTurf® and TAPTITE® are not owned or licensed by CTB, Inc. and are the sole property of their respective owners.